High Density Foam For Scratch & Swirl Removal. Firm foam grade ideal for removal of stubborn swirls, scratches, blemishes and oxidation from paintwork. 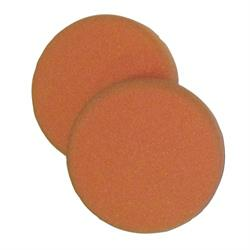 The Orange Cutting Pad can be used with a DA or Rotary machine polisher.